You have what it takes to be an in-demand personal concierge—let us help you get started and succeed! 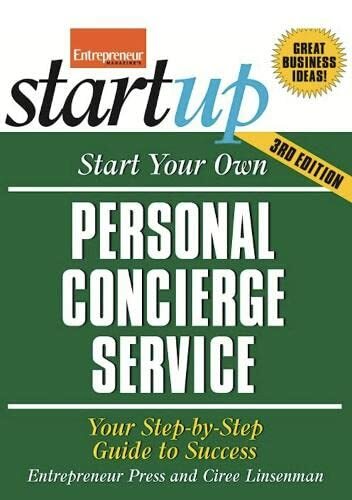 Startup is easy, overhead is low, and demand is high for personal concierges. This home-based business requires very little to get started--no more than a phone and business cards. This guide covers finding clients, choosing what services to offer, setting fees, obtaining vendor services, selling and marketing the business, advertising, customer service, and legal, accounting and insurance issues. In this edition, experts reveal new ways to gain the competitive edge and inexpensive, creative ways to build a client base. Plus, gain additional support from updated sample forms, checklists and worksheets.